Varazdin is located along the banks of the Drava river in northwestern Croatia. Varazdin is a city rich in history and was first mentioned in writing as early as 1181st year. City of Varaždin has nearly 50,000 inhabitants today and is one of the most developed cities in the Republic of Croatia. It is an important cultural and social center of northwestern Croatia and is widely known as a city of Baroque. 1. Varazdin baroque evenings - Varazdin baroque evenings take place at the end of September and beginning of October in many castles and churches in Varazdin and is focused on research of both European and Croatian baroque music with a clear emphasis on the music genre of Varazdin. 2. Špancirfest - Špancirfest is a famous street festival held on the streets and city squares of the city of Varazdin. In ten days of the festival, guests enjoy over 250 hours of world-music concerts, rock, blues, folk, children´s programs and performances, theater comedy for adults, and performances of street performers, entertainers and musicians. 3. Castle Trakoscan - Castle Trakoscan was built in the late 13th century as part of the defense fortification network of the Zagorje principality. 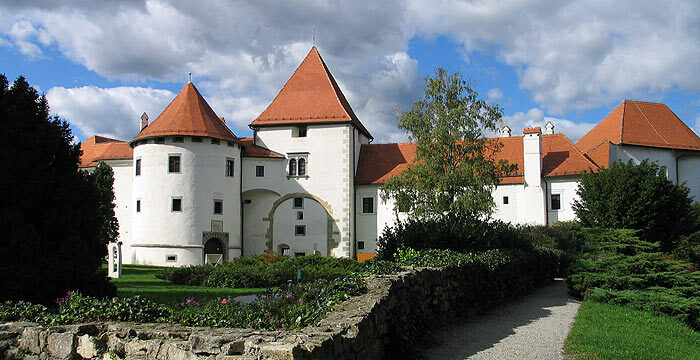 It is located near Varazdin and Zagreb. 4. Trash film festival - This festival of low-budget action movies you will not leave you indifferent. In addition to movie screening, Trash Film Festival pays much attention to the accompanying events, from kitsch parties to glam-trash events, where guests competitors, organizers and performers enjoy in unique fun. While in Varazdin, you must not miss visiting the fort called Old Town. It is located in the town center and today it houses the City Museum of Varazdin. Important attractions are also churches and monasteries, of which we recommend seeing the parish church. Nicholas was erected in the 15th century in the Gothic style. In the old town of Varazdin has 11 towers, six churches and three convents. The rich history of Varazdin is evident at every step, from the walls of the old town, historic baroque Churches and buildings to the beautiful gardens and parks. So, it is not surprising that Varazdin is often called "small Vienna". We offer total 0 facilities.